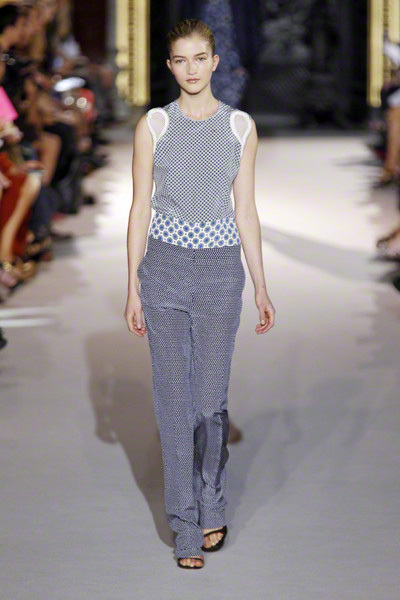 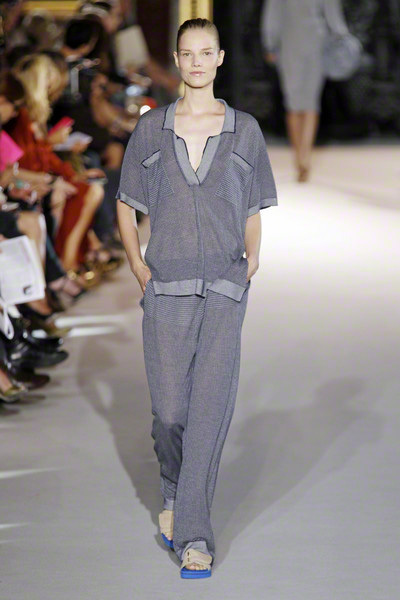 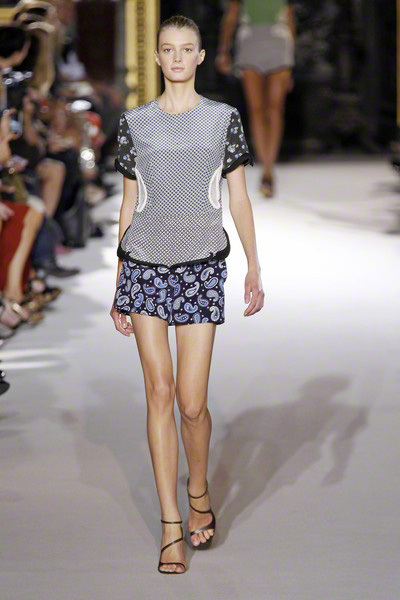 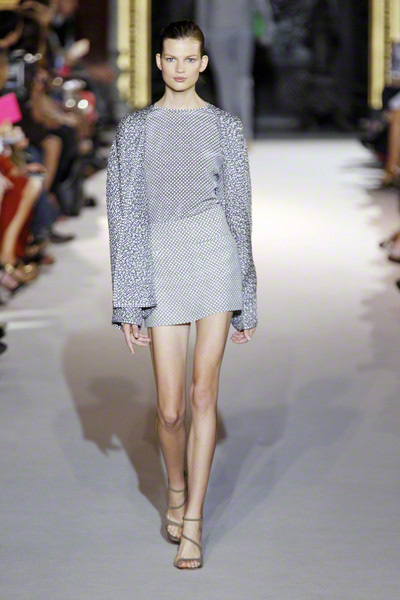 The collection Stella McCartney sent out this morning was a fusion of sportswear, femininity and comfort. 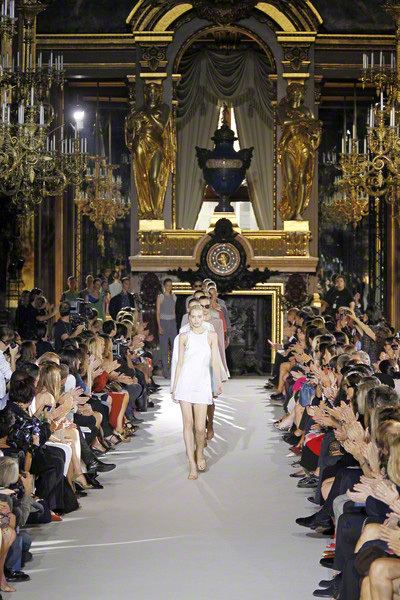 Vitality, relax and baroque were the keywords. 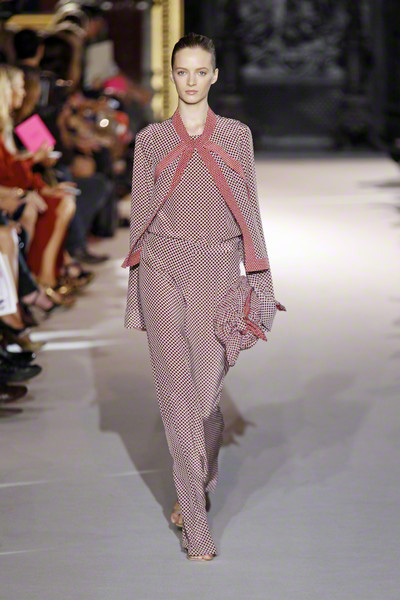 The last balanced out the collection, since one of the main motifs was curling embroideries that edged the scalloped hems of miniskirts and the lapels on blazers. 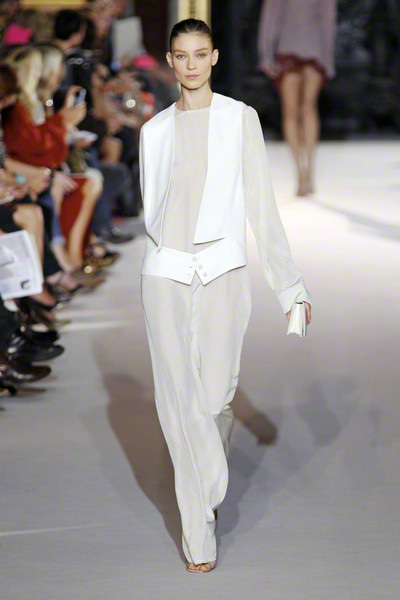 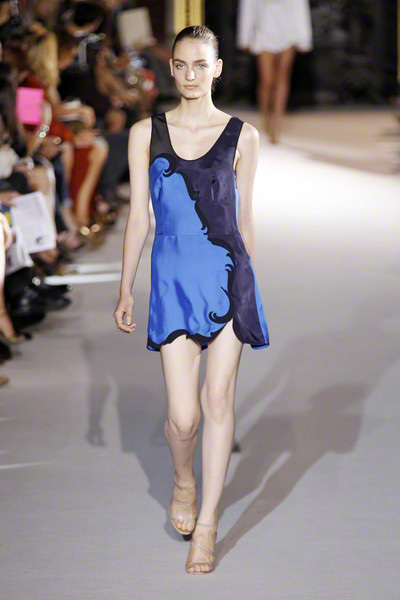 This neo-Baroque element gave the collection, which was divided into tank dresses and tailoring, an elegant touch. 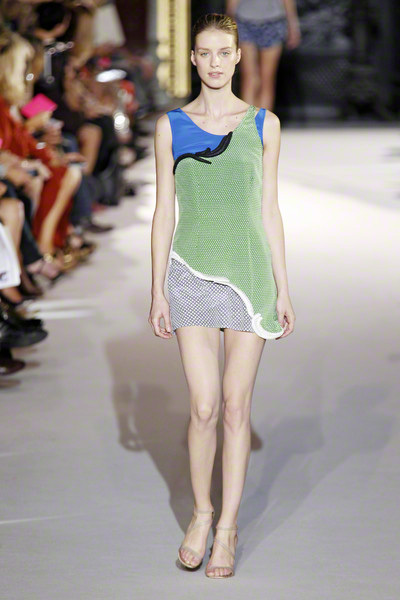 The tankdresses were short and formfitting. 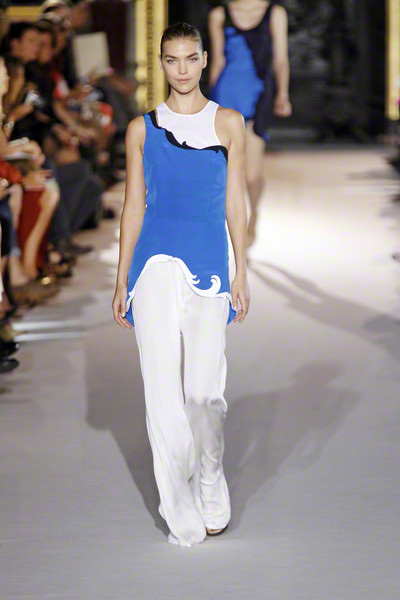 They came in combinations of white, black and cobalt blue. 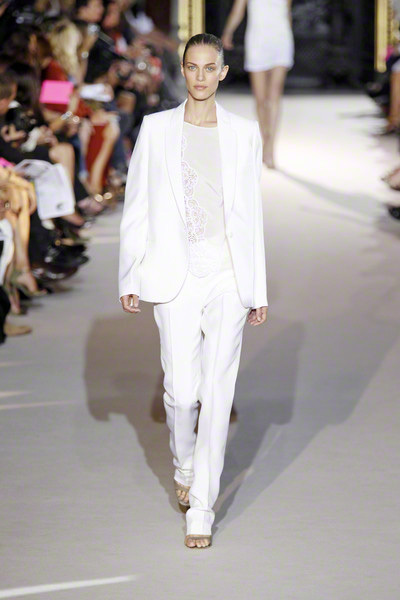 McCartney’s signature men’s wear looked fresh in white bonded materials, a clean-lined baseball jacket will surely be a hit. 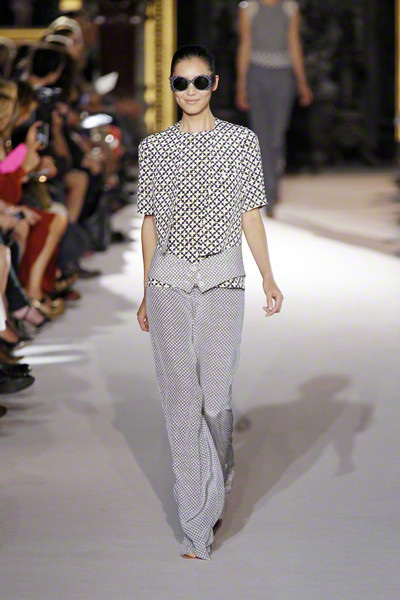 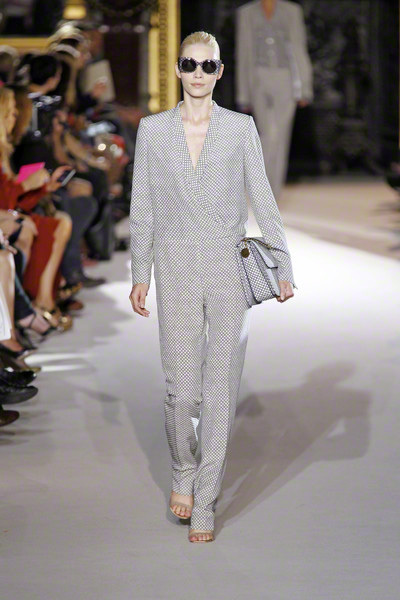 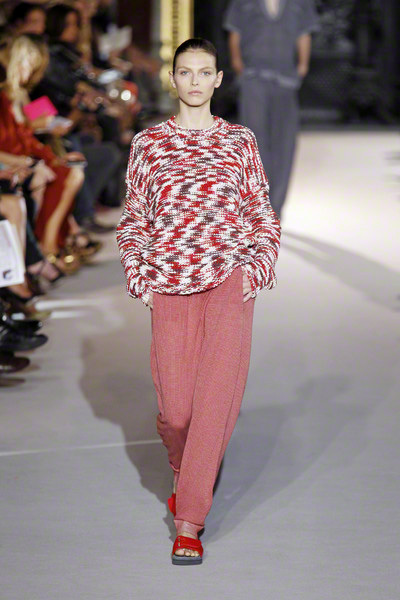 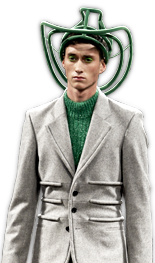 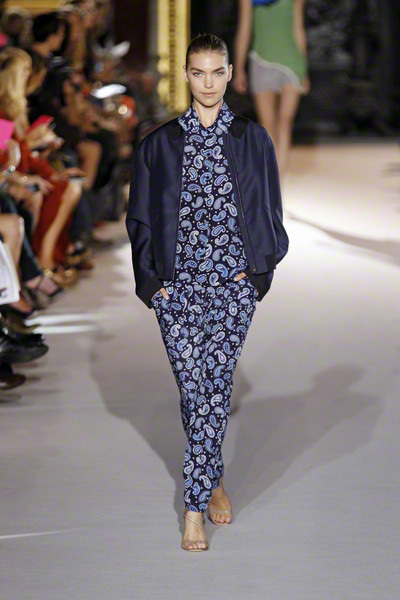 The second half of the show introduced mini-prints and paisleys, shown on tailored jumpsuits and men’s pyjama looks. 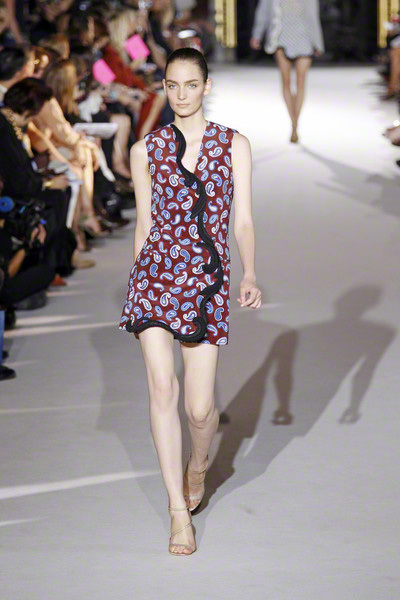 The prints came back at little dresses, sometimes with a shot of color or with mesh insets.